A right-of-way easement may allow a neighbor to use your driveway. 1. What Is Encroachment on Property? 2. Are Easement Payments Taxable Income? An "easement" is the legal right to use or access real estate that belongs to someone else. When there's a right-of-way easement on your property, the land still belongs to you, and therefore the property taxes remain your legal responsibility. That said, easements raise a number of issues that could affect your taxes. Right-of-way easements are the most common kind of easement. These easements give someone else the right to use a specific portion of your property. For example, neighbors whose property is cut off from the road may have an easement allowing them to drive across a 15-foot-wide section of your land to reach the road. Or a utility company may have an easement allowing it to run a power line over a strip of your property, or bury a gas line under it. In legal terms, the "easement" is the right to use the property, while the "right of way" is the portion of your property affected by the easement. Right-of-way easements are typically written into the deed of a property, meaning all future owners of the land are bound by them. Easements don't change ownership of the property, so the land owner will still have to pay the property taxes on it. Some states and localities, however, give land owners a property tax credit for certain right-of-way easements. In Minnesota, for example, you can receive a credit -- a discount on your property taxes, essentially -- for easements for power lines. The amount of the credit is based on the length of the line crossing the property. Check with your local property tax assessing agency to see whether you're eligible for tax breaks for right-of-way easements. It may be possible to require the person who benefits from an easement to pay some or all of the property taxes on the right of way. But the time to do this is when the easement is first set up -- when the property owner and the party seeking the easement are negotiating the terms of the easement. Once easements are written into property deeds, they're pretty much set in stone. Further, the taxing authority may still place the full responsibility for property taxes on the land owner. It may be up to the landowner to enforce the agreement by collecting the other party's "share" of the taxes and, if necessary, going to court. Some right-of-way easements have a negligible impact on the value of your property. For example, if a neighbor has the right to come onto your land occasionally to perform maintenance on his fence, that isn't going to significantly affect the enjoyment or use you get out of your property. But if someone has the right to drive across your land, it affects where you can plant trees, the amount of privacy you can expect on your land, and many other things. This reduces the value of your property, and that should be reflected in your tax assessment -- the value the government uses to determine your property tax. The easement may be grounds for appealing a tax assessment you believe is too high. 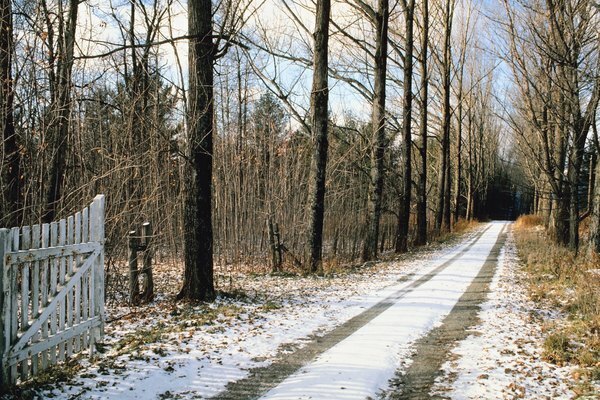 CourthouseDirect.com: What Are Easements and Rights of Way?